If you’ve spent any amount of time searching for internships, you know it’s not easy to find the perfect one for your career. The best internship platforms do a lot of the heavy lifting for you, allowing you to narrow down your search to the opportunities that are right for you. We tested out six of the top platforms around and graded each of them on four criteria: search functionality, number of internship postings, additional tools, and educational resources. Before beginning our evaluation, we collected a list of popular platforms from Google and third-party reviews. This gave us a list of 20 companies. From this initial list, we looked for platforms that anyone can use. That cut out industry-specific platforms (Mediabistro and USAJOBS), platforms that require a paid subscription to access openings (CareerShift and CEI Internships), and platforms that are only available to women (HerCampus and InternQueen). In addition, we required companies to have an internship search filter, so that internship-seekers don’t have to weed through hundreds of full-time jobs to find what they’re looking for. That eliminated platforms like SimplyHired and College Recruiter. Six platforms passed our initial cuts. From there, we wanted to evaluate how easy it was to search for internships on each site. How well does the search engine function? Can you separate paid and unpaid internships? How many job-type filters are available? We gave higher ratings to sites with an abundance of search features and filters. We also gave extra points to the platforms that went above and beyond with the results themselves. Once you find a posting, is there a consistent job description layout? Can you view the job descriptions and complete the initial application without being redirected to another site? Sites with detailed company profiles were also a boon. With these tools, you can get an idea of a company’s reputation and culture before you commit to it — particularly if it isn’t as well-known as something like Amazon or Google. Of course, the quantity of internships on a platform is just as important as how easy it is to search for them. We started by running a general search for internships across the entire United States to gauge availability, followed by individual searches for internships in nine key cities: Atlanta, Chicago, Dallas, Denver, Los Angeles, New York City, Seattle, San Francisco, and Washington DC. In doing so, we looked for the platforms that consistently showed the highest number of postings in each city and in the US as a whole. We also docked points during those searches for any results that simply redirected us to another site. Resume Uploading: Is there a functional tool for uploading your resume? Resume Builder: Is there a tool that facilitates building a new resume? LinkedIn Compatibility: Can you import your information from, and link to, your LinkedIn profile? Saved Searches: Can you save customized searches? Custom Notifications: Can you set up customized email notifications when new internships matching a specific criteria become available? Sign up With Facebook/Google: Can you easily sign up with Facebook or Google, or do you have to create a new profile from scratch? Optimized for Mobile Devices: Is there a mobile-optimized site? Does the platform have a dedicated mobile app? Finally, we graded each platform on the kinds of additional resources they provide that could help you in your career. Is there a guide for building resumes? Are there resources to help prepare you for interviews? Is there a regularly updated blog with content that relates to internships? Some of these proved to be incredibly useful, but if a platform performed well here, we considered it more of an added bonus than a reason to rank it above its competition. It’s really an issue of convenience — these kinds of resources are available all over the internet, but it’s helpful to have them all in one place, and for them to be easily accessible from the same platform that you are using to find internships. Not only did Indeed consistently have the highest number of internship postings in our tests, it also offered the best search tools for homing in on the perfect ones. Indeed had the highest number of internship postings of any platform we tested. And that makes sense — it’s the largest job-search platform out there, so it stands to reason that it also has the largest selection of internships. It had the highest number of total internships in the country, as well as in the nine key cities we focused on. Indeed had a couple of search functions that really caught our eye and elevated the search function as a whole. The first, and perhaps the most unique, was the option to filter out results from staffing agencies. The second was the ability to filter internship searches by when they were posted; if you only want to see anything posted in the past couple days, Indeed makes it very easy to do so. While Indeed has great search functionality and the most internship postings we saw, it also has many supplemental tools that make life easier for internship-seekers. Resume uploading, saved searches, and custom notifications are all included, but what really stood out to us was its resume-building tool. A lot of students applying to internships may not have a resume, and Indeed’s tool takes the guesswork out of the process. This platform does a great job of allowing you to search for internships, but it has basically zero educational materials. It sits squarely in the “ultra-functional, no-frills” category. It does have some blog posts focused on career advice, but nothing targeted specifically at those seeking internships. Of all the platforms we tested, Indeed ranked dead last in this metric. A close runner-up to Indeed, with a wealth of information and reviews on prospective companies. Not only is Glassdoor a quality second choice overall, its company profiles set it apart from the competition and makes it a great resource for internship-seekers. These in-depth profiles include former and current employee reviews, overall ratings, general information about the employer, and occasionally even pictures of the workplace environment. Whether or not you use this as your primary internship platform, it’s definitely a valuable resource when researching the company offering you an internship. Glassdoor scored very well in our availability metric, coming just 4,000 internship listings short of Indeed across the US. For context, that’s still about 10,000 more than our third pick, Internships.com, which came in fourth place for internship availability in our tests. Glassdoor also came in second place for number of internships in the nine major cities in our tests. After Internships.com, we thought Glassdoor offered the best resources for future interns of any platform in our tests. It has dozens of blog posts targeted specifically towards interns, with practical articles like “9 Interview Questions All Interns Should Be Prepared to Answer” and “10 Steps to Transform Your Summer Internship Into a Full-Time Gig.” These educational resources can help you get the most out of your internship opportunity or help you along the way to obtaining one. Glassdoor’s weakest performance was in Search Functionality. It lacked a few helpful filters, such as one for paid and unpaid internships. This is one of the most valuable features for students hoping to use an internship as a true summer job, and its omission caused Glassdoor to score poorly in our “Search Filtering” sub-metric. It still tied for third place in our search functionality tests with Internships.com, but it was well behind our top pick, Indeed. Slightly lacking in number of search results and company profiles, but a fantastic resource for resume building and internship advice. If you’re looking for additional guidance on what kind of internship to look for, how to build a strong resume, or how to nail an interview, Internships.com is an incredibly valuable resource. This platform is designed with students in mind, so it has a ton of educational material for prospective interns. One example that we didn’t see anywhere else is its “internship predictor tool,” which is a basic personality test that gives you insights into which kind of internships might be a good fit for you. After Glassdoor, Internships.com offered some of the best tools of any site we tested. Most notably, it has 21 different resume samples from different fields, which you can download and customize with your own work experience. It also allows you to save your searches on the site and come back to them later. Because our tests often included upwards of five different search criteria, it was a huge timesaver to have them automatically entered for us. Internships.com’s biggest drawback is its smaller number of internship listings. It had the fourth most internships in our tests, with about 14,000 fewer than Indeed. That said, it does counter some of this with more distinct listings than similar competitors. 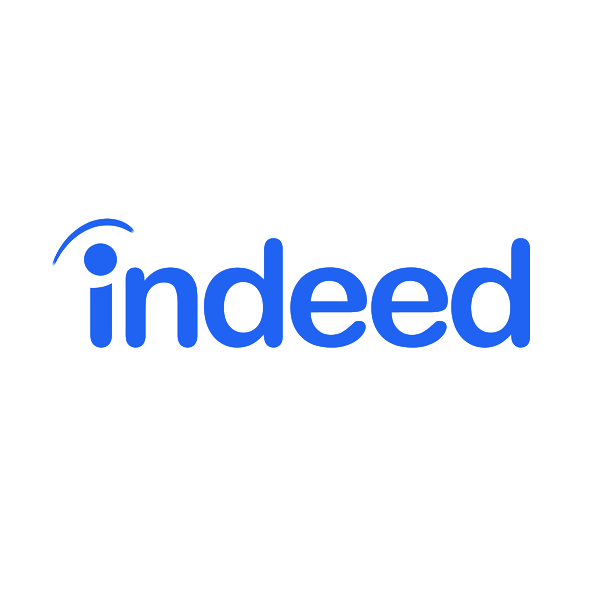 While Looksharp had a few more internships overall, for instance, Internships.com surpassed it in our Internship Availability metric because of more unique postings — Looksharp just imports most of their listings from Indeed. While Internships.com came in a respectable third for Search Functionality, the biggest thing we missed was a section for company profiles. The site has thorough descriptions of roles and application instructions, but nothing on the actual company we’d be interning with. It wasn’t a big deal to head over to Glassdoor to find this information, but we would have liked something on the Internships.com page that could tell us more about the company. According to a study conducted by NACE, employers begin the recruiting process for interns eight months before the internship start date. That means the earlier that you start applying, the better chance you have at landing a great internship. For summer internships, it’s not a bad idea to start your search in the previous year’s fall. While this process should include an internship platform, there are other tools you can utilize as well. Use your network to track down leads. Consider checking in with friends, connections, and your school’s career services center. Many employers contact schools to ask if they can recommend students for potential internships, so getting on your career counselor’s radar could lead to a quality internship. If this is your first time building a resume, or if you haven’t touched it up in a while, start with a template. You can then tweak it to reflect the experience and qualities that an employer in your chosen field will be looking for. At this stage, you should also find three or four quality references that you’d feel comfortable using on your applications. Remember to ask permission and inform your references that you are listing them. If you don’t have enough references from previous employment, non-profit experience or professors are also good options. This is a bigger deal than you might think. According to an article in Time, 93% of hiring managers will use social media to screen a potential hire, and 55% of the time they reconsider a candidate based on what they find. They tend to look for things like references to illegal drugs, sexual posts, guns, and alcohol. Think about how you want potential employers to view you, and then make sure your social media accounts reflect that image. When the time comes to apply, make sure you’re sending in applications to all of your top choices, not just your favorite. There’s a good chance you’ll submit multiple applications in the same sitting, so pay attention to the details. It’s easy to get job titles and company names confused when you start copying and pasting between applications, and a careless mistake like that will generally take you out of the running for the position. First, check any correspondence you’ve had with the company to see if they gave you a date when you could expect to hear back. If a date was given, make sure you wait until after that date to follow up. Remember, your objective is not to secure the internship, but to get an interview. Send a short email reiterating your interest in a specific posting, and make sure to attach another copy of your resume and cover letter for easy reference. Securing an interview is the hardest part of the process, so you’ll want to be as prepared as possible. Glassdoor is a great resource for potential interview questions, but you should also prepare your own list. Ask about specific job duties, working environment, and who you’ll be reporting to. Remember, you aren’t just trying to land the internship, you’re also interviewing the company to determine whether this opportunity is right for you. What should I look for in an internship? Paid internships: Paid internships — whether you receive college credit or an actual paycheck — tend to include more responsibilities directly related to the field. As such, the hiring rate is substantially higher than the rate for unpaid interns. A recognizable company: Interning for a company with a strong reputation in its industry can help you land a position down the road because it makes your resume stand out. A hiring manager is much more likely to notice an application that lists Microsoft experience than experience at Joe’s Computer Lab. Job responsibilities relating to your major: Of course, any internship helps boost your resume, but the more relevant to your major, the better. Resume building shouldn’t be your only objective — learning and developing new skills is also extremely valuable, and it can help you decide if your current career path is right for you. What are common internship scams? Pay upfront scams: These scams will try to convince you to pay them upfront for the internship opportunity. The scammer usually tries to get you to overlook the abnormality of the practice by appealing to your understandable desire to make a larger sum of money than you thought possible. Cheap-labor scams: These are characterized by employers that misrepresent your job duties or likely compensation. Pay careful attention to sales or labor “internships” that are really just low-paying jobs. How do you know if an internship is legit?